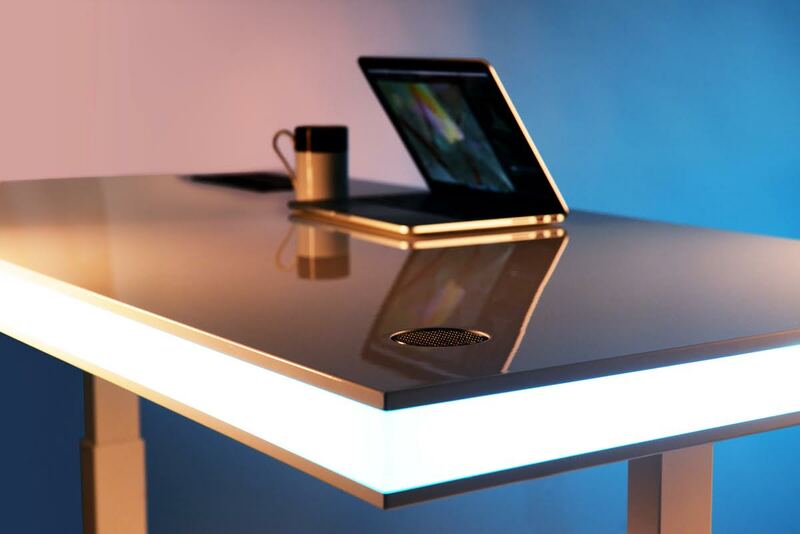 Unlike other desks, the height adjustment is controlled by an hand sensor. 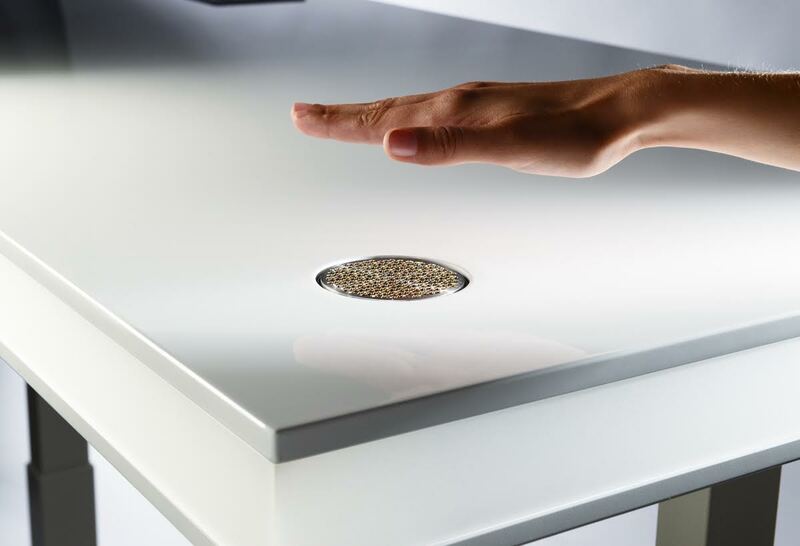 Simply place your hand over the sensor and it will automatically rise until reaching hand level. TableAir also lets you choose the color of LED’s light side panels for example in dark if moody, red if busy. It is also possible to control TableAir via a Smartphone. The mobile app allows to adjust both the height and set the color of light panels. This awesome desk also has a “stress indicator”. This feature indicates the calories burned during the day depending on its position. the application also indicates when it is time to stand up or to sit. Forget about back problems! The TableAir application is compatible Apple and Android. It has as well, a discreet location where it is possible to connect peripherals.